Documentary filmmaker Gary Prendergast’s “Through the Gate: The Great Northern Cannery Story” will have a special matinee screening at the West Vancouver Memorial Library from 2 to 4pm on Saturday, February 18th. 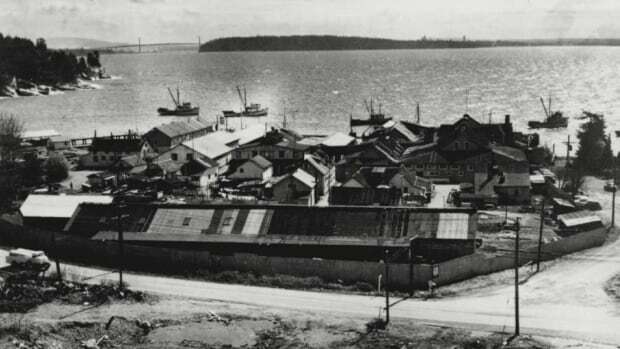 The film traces the life of the Great Northern Cannery, which operated in West Vancouver from 1891 to 1968, and is now the site of a Department of Oceans and Fisheries research lab. This is a great opportunity to watch the film, if you missed it when it screened last August at a reunion for past residents and workers. The film will be shown in the Welsh Hall at the West Vancouver Library at 1950 Marine Drive, in West Vancouver. Visit the library website for more details.